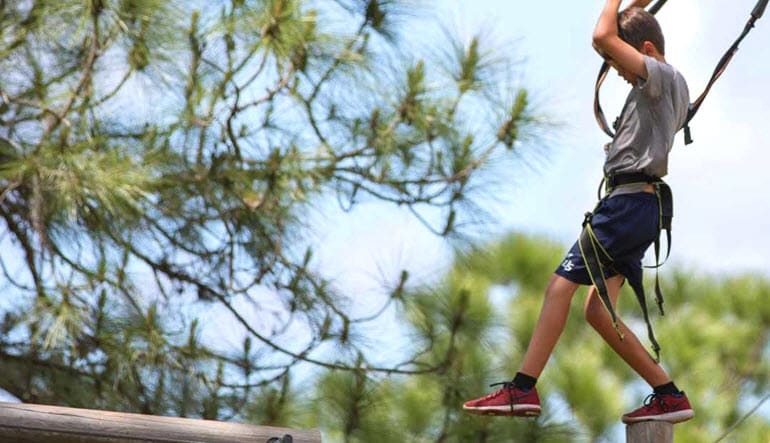 Swing into action at Southwest Florida’s only elevated adventure course. 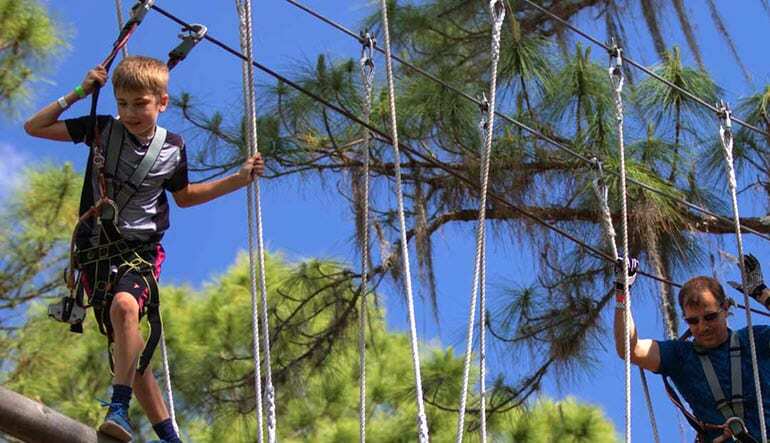 Zoom above trees on a zipline, test your balance on a wobbly bridge, swing on a bungee swing and so much more. A day in the park just got a lot more fun. At TreeUmph! 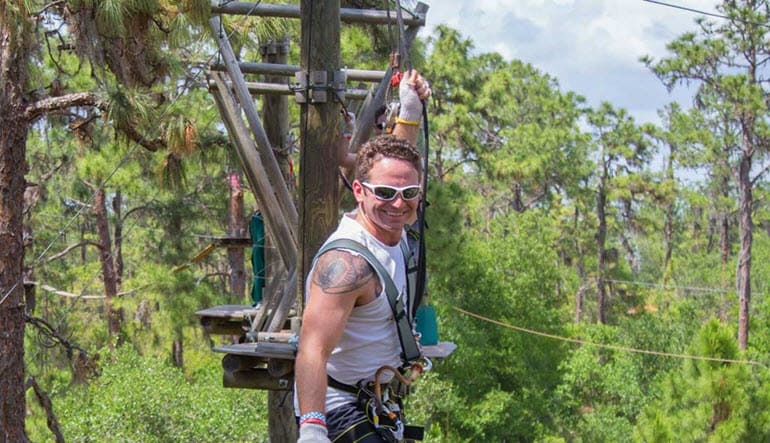 you’ll feel the exhilaration of climbing, zip lining, swinging and free-falling from 15 to 60 feet in the air... all while harnessed to equipment designed with the most rugged materials and highest safety standards. 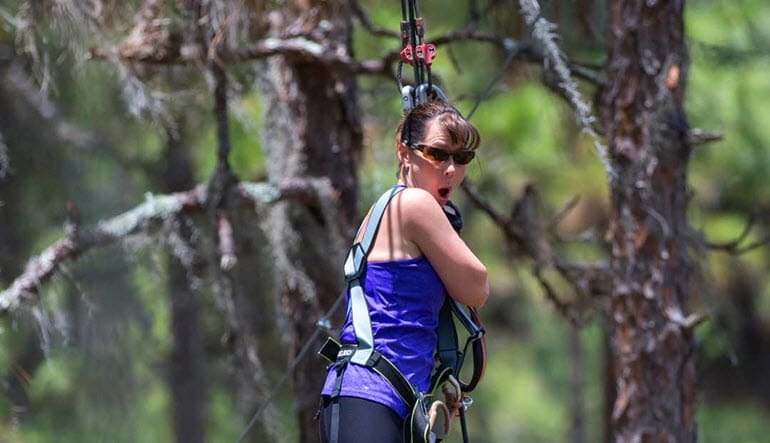 Everyone starts out on the Beginner’s Course and makes their way through five progressively difficult courses. There is fun for everyone, but only the fittest will reach the last and most extreme course, a true test of strength, agility, endurance and nerves! 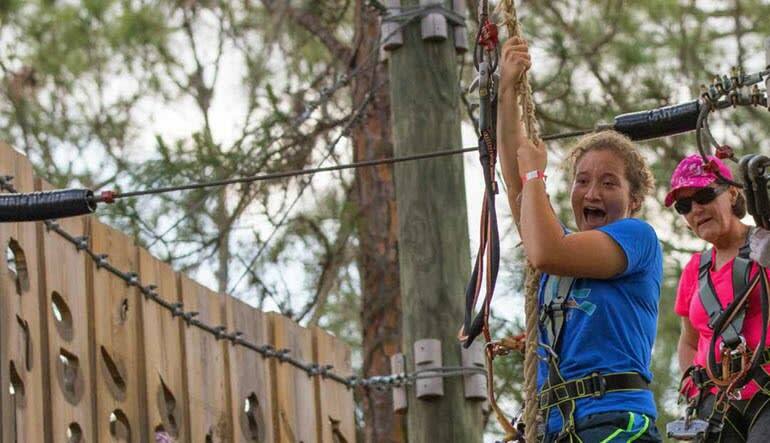 Get your family, friends and coworkers together for an exhilarating day that’s much more than a walk in the park. it was all we had hopeful and more we had a great time and will do it again. It was a great out of the box date day!